In a large, resealable plastic bag, mix rosemary, garlic salt, thyme, and pepper. Place pork roast in the bag, seal, and toss until thoroughly coated with the garlic salt mixture. Transfer to a medium baking dish. 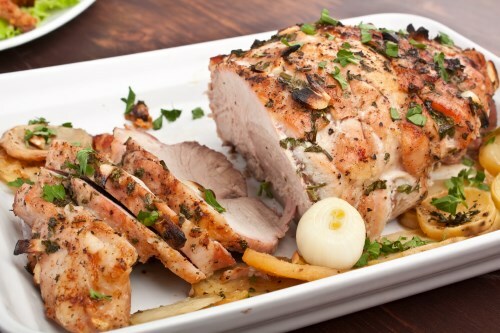 Cook pork roast 1 hour in the preheated oven, or to an internal temperature of 145 degrees F (63 degrees C).